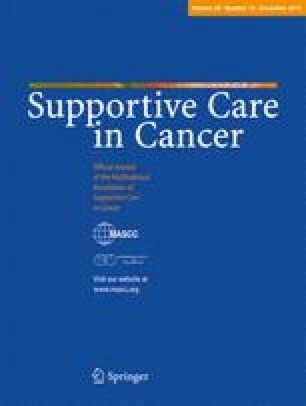 A systematic review and meta-analysis to examine the effect of music interventions on psychological and physical outcome measures in cancer patients. We searched six English-language databases and three major Chinese-language databases in March 2011. Nine databases were reviewed from 1966 or the start of the database to March 2011. All randomized controlled trials comparing music intervention with standard care, other interventions, or placebo for psychological and physical outcomes in cancer were included. Study quality was evaluated by the Grading of Recommendations Assessment, Development, and Evaluation Working Group. We then performed a meta-analysis of music interventions for psychological and physical outcomes in cancer. Of 322 total studies found, 32 randomized trials (3181 participants) met the inclusion criteria. Seven high-quality studies indicated music had positive effects on coping anxiety assessed by the Self-Rating Anxiety Scale. Two moderate-quality studies suggested music reduced anxiety assessed by the Hamilton Anxiety Scale. Eight moderate-quality studies revealed music lowered anxiety assessed by the Spielberger State-Trait Anxiety Inventory. Seven moderate-quality studies demonstrated that music improved depression. Seven moderate-quality studies observed that music had positive effects on pain management. Two moderate-quality studies suggested music worsened fatigue. Four moderate-quality studies indicated music lowered heart rate. Three low-quality studies suggested music could reduce respiratory rate. Two moderate-quality studies indicated that music improved quality of life. Individual randomized trials suggest that music intervention is accepted by patients and associated with improved psychological outcomes. The effects of music on vital signs especially blood pressure are small. High-quality trials are needed to further determine the effects of music intervention. Jun-Mei Zhang and Pu Wang share equal coauthorship.